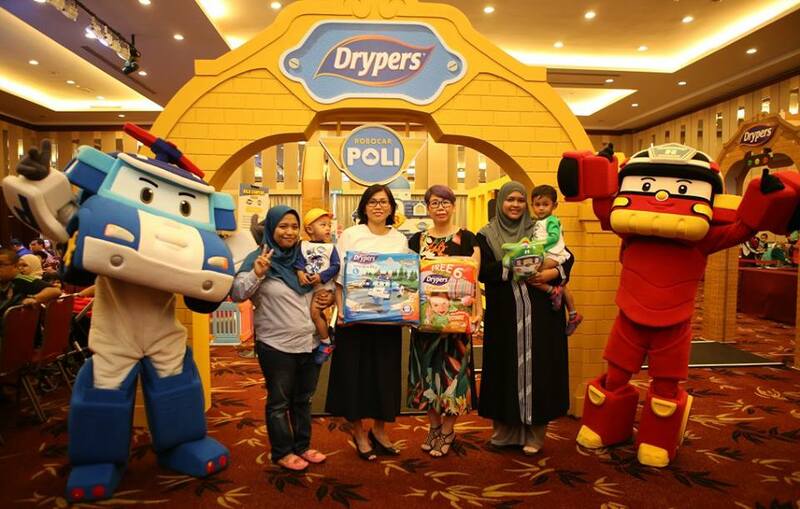 Drypers, Malaysia’s leading diaper brand under SCA Hygiene Malaysia Sdn Bhd (Vinda Group), has released a limited edition range of diapers and collectibles that feature designs of the popular South Korean animated children’s TV series, Robocar Poli. Drypers announced the collaboration during a launch event held at the Club @ Bukit Utama recently. The theme for this collaboration is “Balik Kampung bersama Drypers & Robocar Poli” as the campaign period coincides with this year’s Ramadan and Hari Raya season. Drypers road safety advice displays have been placed in more than 750 retail outlets nationwide and at selected highway R&R stops. Road safety messages have also been included on Drypers product packaging. “Robocar Poli is a favourite among little ones and apart from the fact it has vibrant animations and adorable characters, the series also inspires children to practice safety in a variety of situations, particularly road safety. That is something that really inspired us as Drypers focuses on providing comfort – a quality that goes hand in hand with safety,” said Ms. Evelyn Chan, Marketing Director of SCA Hygiene Marketing Malaysia Sdn. Bhd. (Vinda Group). 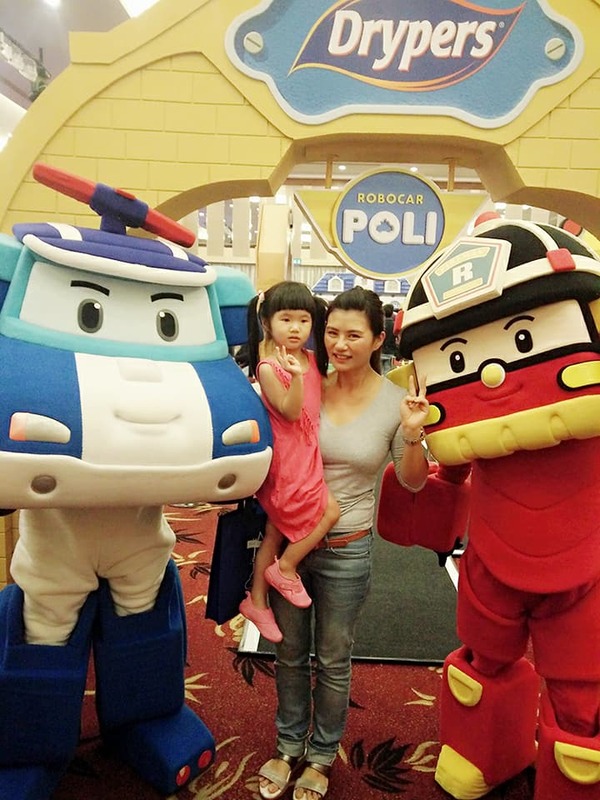 “Having the Balik Kampung with Drypers and Robocar Poli campaign during the festive season also motivated us to emphasise the nature of road safety messages shared in the Robocar Poli Series as a reminder to both parents and children to stay safe and comfortable while on the road. “As you know Malaysia has one of the highest road accident and fatality rates in the world. In 2016, 7,152 lives were lost in 521,466 road accidents (1).This translates to 19 deaths on the road every day. During the first two weeks of the Aidilfitri period in 2016, the police recorded over 20,294 accidents nationwide with 273 fatalities (2). This figure is alarming and more needs to be done to educate drivers on road safety. We need to reduce road accidents,” added Ms Chan. The limited edition Robocar Poli designs are available on the brand’s best-selling Drypers Wee Wee Dry diapers. In addition, a colourful collection of official Robocar Poli plush toys and children’s t-shirts will be given with every purchase of Drypers Wee Wee Dry (Limited Edition) Mega TwinPack and Drypers Drypantz Mega TwinPack, respectively. Each Drypers Wee Wee Dry and Drypers Drypantz Mega TwinPack currently also comes with an additional 12 pieces free (6-pieces per Mega pack), adding even greater value to these best-selling diaper packs. Drypers has been the preferred diaper brand amongst Malaysian parents for more than 17 years. The diaper style offered with the Robocar Poli design is the Drypers Wee Wee Dry – with a comfortable and improved ThinDryTM core that’s designed to effectively absorb and evenly distribute urine (now 30% even drier) so that the baby can move more comfortably. The new improved Drypers Drypantz offers a superior fit that ensures the baby is dry for up to 10 hours and also has convenient Easy Disposal Tape that simplifies disposal. Drypers Baby Club members have the privilege of getting hold of a Robocar Poli premium gift, if they are one of the first 500 members to purchase a limited edition Drypers Wee Wee Dry pack and register the unique code on the Drypers Baby Club website. Drypers Baby Club members can also keep up to date on announcements of weekly prize giveaways on the website. Drypers Baby Club is a thriving online community of over 250,000 parents in Malaysia, providing customers and club members with access to a wealth of parenting tips and advice through the various stages of motherhood. Through this online platform, parents can also turn their purchases into useful gifts via the Drypers Point Shop – a simple and effective rewards program that makes redeeming gifts hassle-free and convenient. What a fun event for the little ones from a diaper brand. Will alert my mummy friends about this campaign. so cute sure my son likes it but he no wear anymore. you plan for another baby? wow.robocar poli! this is a must have collectible items! So cute la the robocar, I think my daughter will love it. Robocar poli is my niece favourite. Dryper indeed a good brand. have heard of this brand. glad that they keep on improving their product qualities, so that the consumers can be benefited from it!